Museum Showcase - Free Shipping! 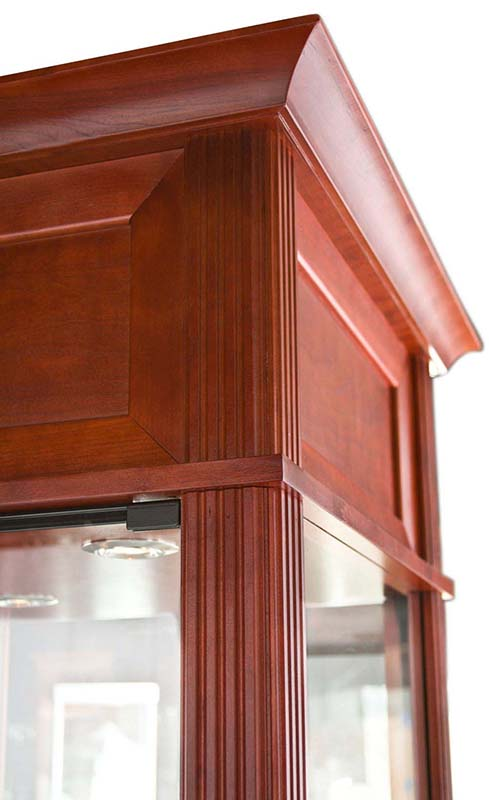 Beautiful wood veneer construction with traditional crown moldings. Museum quality construction for showcasing artifacts, collectables and memorabilia. Includes built-in lighting and adjustable glass shelves. Choose from 13 wood veneers and attractive finishes. Ships fully assembled! FREE SHIPPING! (Truck shipment - See Terms & Conditions). Shpg. wt. 318 lbs. Please allow 3-4 weeks for delivery. * Clear, tempered glass on all sides. 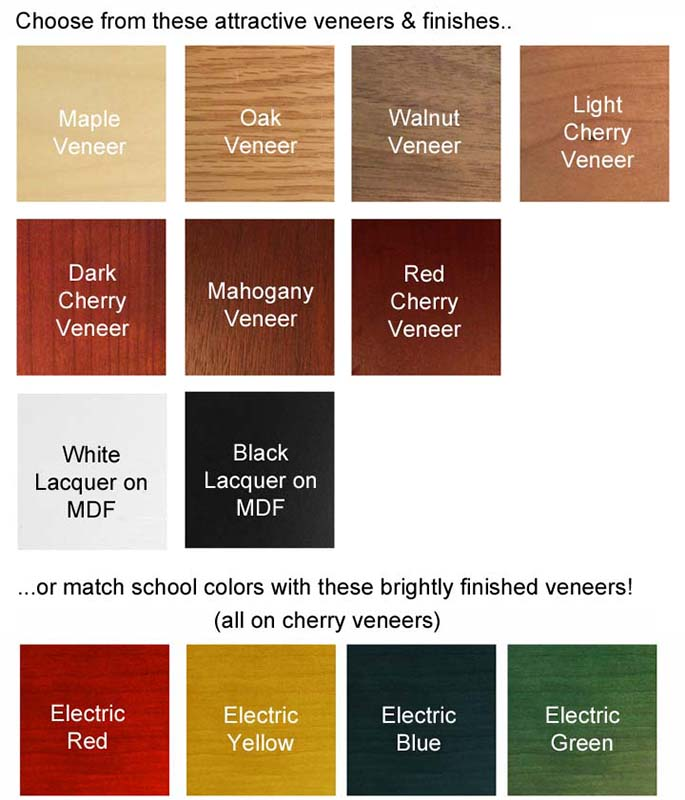 * Choose from 13 wood veneers and finishes. * Finished wood veneer deck. * Three, 1/4" thick glass shelves. * Two LED Lights in canopy. * Glass Display Area measures 53"H.
1 - 2 $3,899.00 ea. Same showcase as above but with six LED spotlights. Measures 25-1/2"W x 25-1/2"D x 82"H overall. Shpg. wt. 318 lbs. Ships assembled. PRICE INCLUDES SHIPPING! (Truck shipment - See Terms & Conditions).